MAIT has several models specifically designed and dedicated for limited access drilling. Our Mini Series include the world famous BABY DRILL and MIDI DRILL, mounted on Komatsu PC 80. 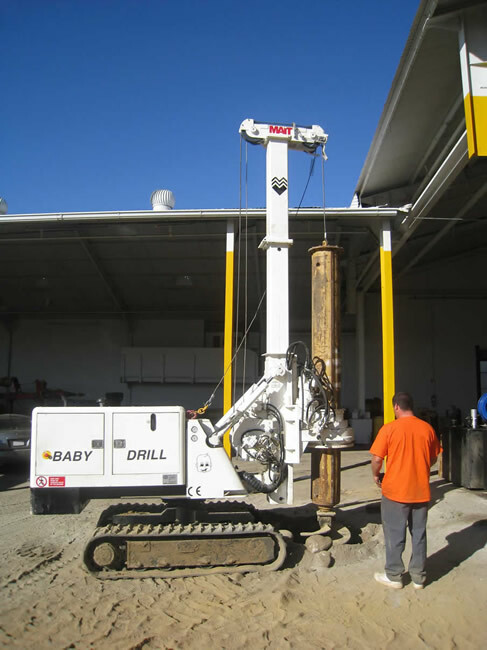 The BABY DRILL is radio-remote controled, which allows it to easily get into those tight places that other rigs can't get into, such as elevator shafts or inside and underneath bulildings. This rig can be operated from a distance, allowing the machine to go places where a larger size drilling rig would be potentially hazardous for overturning such as on cliffs. The BABY DRILL is mounted on expandable crawlers, and can be tracked through a 3.3 ft wide door. 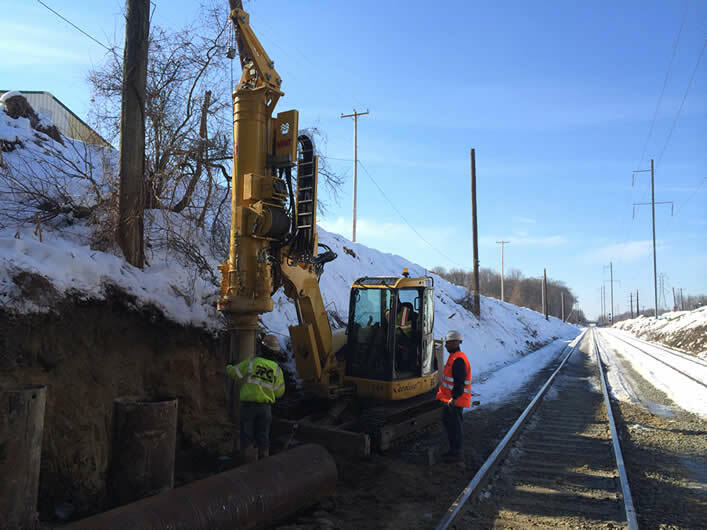 This machine may be small, but it can do alot of work, up to 24 in diameter and 49 ft of depth. The BABY DRILL has a telescopic mast which can fit under various heights with different kelly bar lengths. The MIDI DRILL on the other hand, is a little bigger and more powerful than the BABY DRILL. It is mounted on Komatsu PC 80, and is the perfect rig to transport on your own trailer and be pulled by your own truck. There is no need to remove the kelly bar for transport, so you save on loading and set-up time. 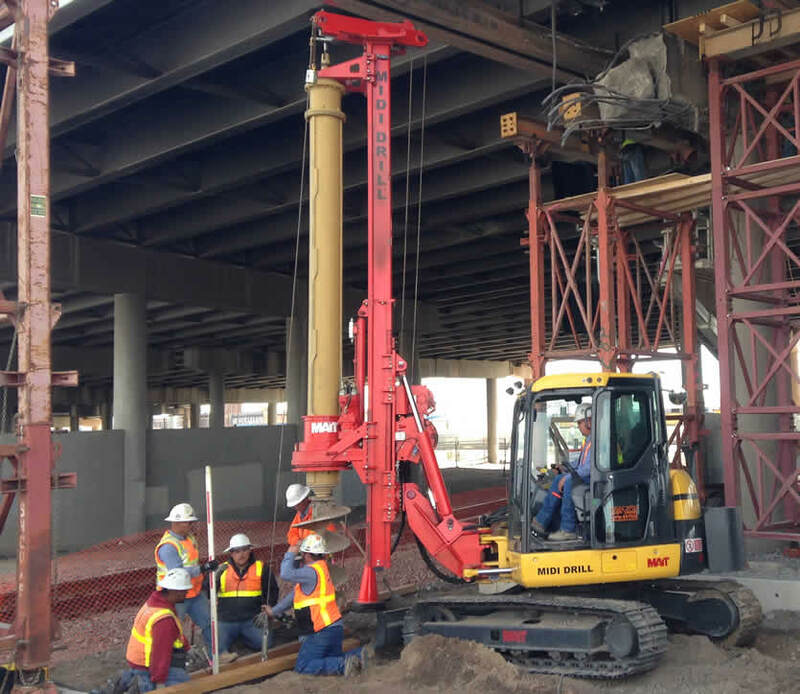 The ECOLINE EC 35 is a specially designed drilling rig for limited access and low headroom jobsites. Its moderate size allows easy transportation as the kelly bar does not have to be removed for transport.